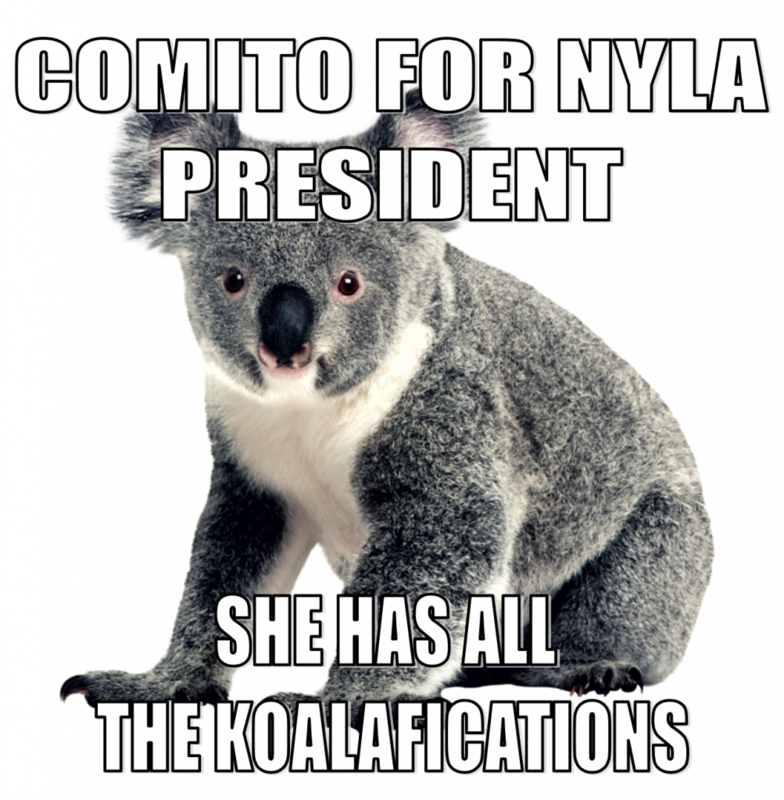 I’m running for NYLA president! I wrote a candidate statement, which you can find here, but it’s not really enough room to say everything that I want to say about NYLA, libraries in NYS and NYC, and why I want to serve as the next NYLA President. So, here we go! Why on earth should you elect a 33 year old to be president of the oldest library association in the country? Well, a lot of reasons. To begin with, I’ve started one of the newest library organizations out there. I have worked with Urban Librarians Unite for the last 7 years, and in that time I’ve had the chance to fill out IRS paperwork, run board meetings and committees, and do the books. It has given me a good understanding of what it takes to operate a not for profit. NYLA’s budget is bigger than ULU’s, but the concepts remain the same, and I have had years of hands on experience in keeping a c3 going. 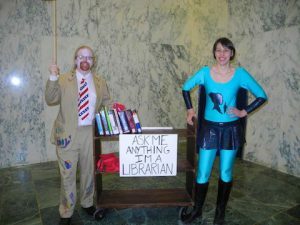 I’m a tireless advocate for libraries, who never shuts up, and isn’t afraid to humiliate herself if that’s what it takes to get the job done. My professional life isn’t just ULU. I have been at the Queens Library for almost 10 years, and have worked my way up from a Librarian Trainee to running the Central Library’s Job and business Academy, supervising a staff of 16. I am in my second Term on ALA Council, where I have written and passed 2 resolutions, including a resolution on the importance of libraries and library staff post Sandy and Irene. I have also served on the Board and as President of the Leadership and Management Section of NYLA. I have found NYLA to be a great place to get leadership experience and support in my career, and have been happy to find friends there as well. But I also remember that when I started out it was pretty intimidating and hard to figure out. I know that joining a new professional association will always have an aspect of that, but I want to try to help make the process for getting involved more clear, and easier to navigate. NYLA has an amazing voice as the main advocate for libraries at the state level, and I want to help keep that going. We are louder together, and I want to help bring in new librarians, librarians from NYC and other organizations to help make the amazing voice we have even louder. Make sure that you vote in this year’s NYLA elections, I know it can seem like a chore, but I promise the ballot is much shorter than ALA’s! I hope that I have your vote, and I do, then I also hope that I have your commitment to get involved in NYLA beyond voting as well. NYLA works because we do.